Volketswil, Switzerland: – Innovative Swiss-based print specialist Hapa AG has won an internationally coveted 2015 iF Design Award for its groundbreaking touch panel control interface. The touch panel will be found on latest print systems and was jointly developed by Hapa and its sister Coesia Group company, Laetus. 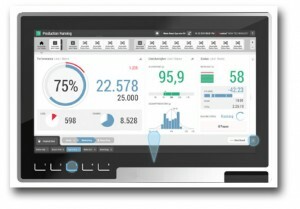 The design also features detailed inputs from Germany’s HMI Project GmbH. The “Hapa/Laetus New Technology“ Graphical User Interface (GUI) received an award in the iF Design Apps/Software category, part of Discipline 3.0 Communications. The centerpiece of the new-generation touch panel is a large, clear and user-friendly display. Behind the great new look lies arrays of innovative engineering and design features that are focused on operability and flexibility. “This GUI technology is platform independent,” said Jean-Luc Devenoge, Hapa’s Senior Engineering Manager. “It can run in a browser such as Chrome, is easy to integrate, and offers a clean separation from application logic”, Mr. Devenoge explained. “We are thrilled having been elected from almost 5,000 entries from 53 countries and awarded for our outstanding achievement in design,” said Hapa’s spokesperson Anja Koletzki. 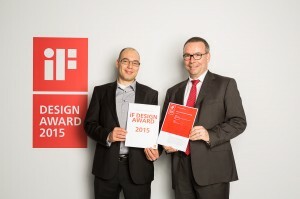 Over more than 60 years, the iF Product Design Award has become accepted as an internationally recognized seal of industrial design excellence. The award, conferred by the iF International Forum for Design, annually attracts more than 2,000 product entries from around the world. Panels of renowned experts judge entries in each of the five Disciplines: Product, Packaging, Communication, Interior Architecture and Professional Concept, each comprising up to 17 categories. The best entries receive an iF seal of outstanding design quality and a featured place in the IF International Forum Design Yearbook. The best of the best in each category is awarded a coveted iF Gold Award, known as the “Design Oscar”. The award traces its history back to the 1953 Hanover Industrial Trade Exhibition, where iF Industrie Forum Design e.V. launched a “Special Show for Well-Designed Industrial Goods” to highlight German design accomplishments. Since then, iF Industrie Forum has metamorphosed into an international body, mediating between design and industry and pledged to increase global awareness of the importance of good design. Click on Hapa wins premier design award for other information.